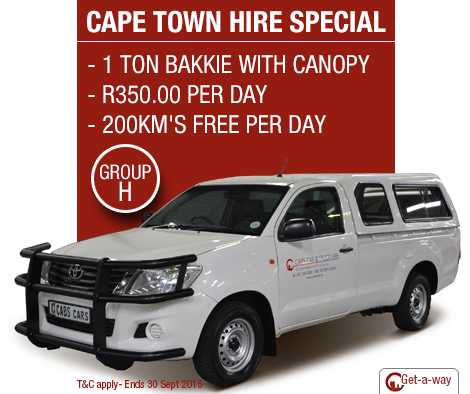 10 seater van or a Bakkie with canopy till the end of September 2015 in Cape Town only. 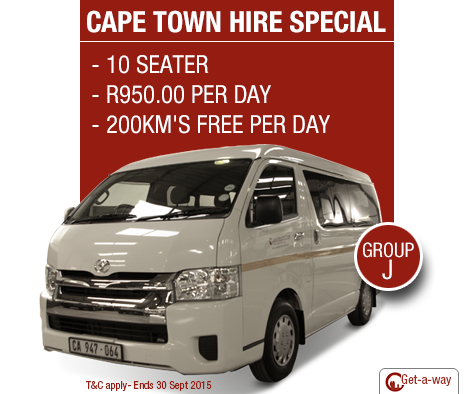 Hire a Group J – 10 Seater van for R950.00 per day, with 200 km’s free per day. R16 500 – Theft Loss Waiver and Collision Damage Waiver. (T&C apply) – Contact CABS car hire – +27 21 386 5500. R9500 – Theft Loss Waiver and Collision Damage Waiver.